But when her home is attacked and her mother kidnapped, Elsa is forced to cross into the real world and use her own scriptology gifts to find her. In an alternative Victorian Italy, Elsa finds a secret society of pazzerellone—young people with a gift for mechanics, alchemy, or scriptology—and meets Leo, a gorgeous mechanist with a smart mouth and tragic past. She recruits the help of these fellow geniuses just as an assassin arrives on their doorstep. Any book that makes my mind go to a beloved Broadway song is automatically added to my TBR. Plus the concept sounds really cool, and that cover was meant to be on this blog haha. Gwendolyn Clare's debut novel—INK, IRON, AND GLASS—is the first in a steampunk duology about a young mad scientist with the ability to write new worlds into existence, forthcoming from Imprint in 2018. 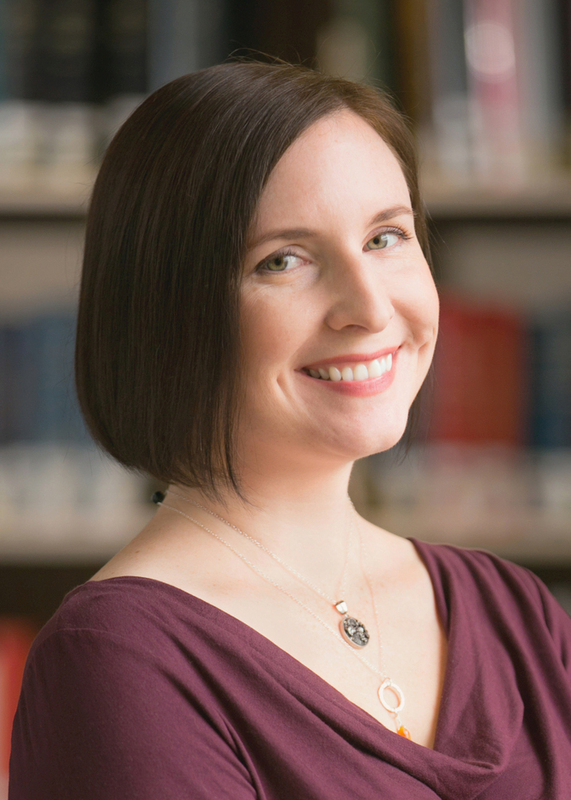 Her short stories have appeared in Clarkesworld, Asimov's, and Beneath Ceaseless Skies, among others, and her poetry has been nominated for the Rhysling Award. She holds a BA in Ecology, a BS in Geophysics, a PhD in Mycology, and swears she's done collecting acronyms. She lives in North Carolina with too many cats, too many ducks, and never enough books. I really enjoyed Audrey Coulthurst's debut novel, Of Fire and Stars, and so it's no surprise that I want Inkmistress as well. Plus, a female demigod whose words can change the future? 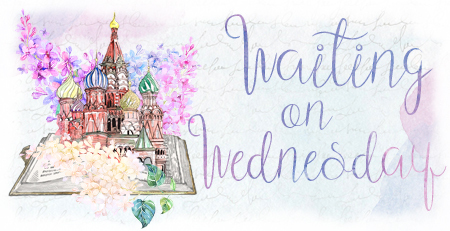 What are some books you're waiting on this week? Are these books on your TBR, or is it the first time you're hearing about them? Let me know! Wow! Both of these books look interesting! Great picks! Great choices this week, Brittany :) Hope they live up to your expectations when you get to read them! Don't they? I'm so excited for them! As always both these books look AMAZING! 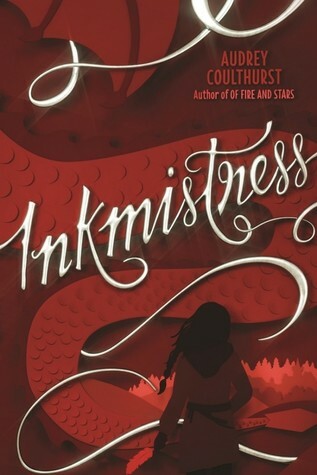 The cover of Inkmistress is so beautiful. I love it! I think so, too! I hope you added them to your to-read list! Good! And yes I always have song lyrics, movie lines, and book quotes in my head all at once, so when they all go together it's even better! Well, you just gave me two more precious titles to add to my gorgeous TBR pile!! The cover of Ink, Iron and Glass looks absolutely amazing. Definitely adding both books to my TBR right now. OMG!!! 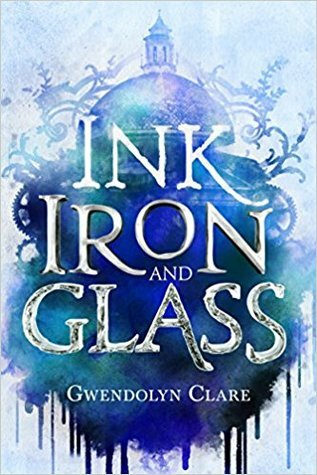 I had not heard of "Ink, Iron, and Glass" before, and now I want it SO much!! What an AMAZING plot!! I'm adding it to my GR shelves right away!! And that cover! STUNNING!! So, YEAH!!!! I LOVE your gifs, BTW!! Both of these sound awesome! They're not on my list. Thanks for sharing and for linking up! I hope they're on your list now! They both look so stunning and I think that's already reason enough for me to wait for them, too. But they even sound interesting which is the even bigger plus :D Thanks for sharing! I hope you love them and that you added them to our TBR! Ink Iron & Glass finally has its final cover!! I love it! Inkmistress also looks cool---I thought the first book was pretty good so I'm excited to try more of Coulthurst's writing! Yes, and it's beautiful! I think both of these are going to be so great! Inkmistress sounds unique and original and I like the sound of that premise too. This one's is new to me but I'll definitely be checking it out now. Yay! I think both of these books sound really unique, so I hope you'll check them both out! Oooo, I'd not heard of the first book! To be honest, I thought you were listing four different books, in the title of your post. :D Both of these books sound great. I hope you enjoy these books when you get the chance to read them! I was afraid people would think that about Ink, Iron, and Glass haha. I hope you added both books to your list! So I JUST heard of Ink Iron & Glass today! I'M SO EXCITED. THAT'S A WRITING SKILL I WANT.😂 Or maybe not since I tend to write sort of super stabby worlds ahemmm. I also am interested in the girl demigod one too. I didn't love the authors debut, but I do like trying authors twice before I make up my mind.😂 ALSO DEMIGODS THOUGH. I KNOW, ME TOO! I think it's a skill all writers and dreamers want. You should have to write the stabby parts to only affect the bad people. And yes you should definitely give her another shot, so many times have I liked a book by one author but hated the next. Hopefully, you'll like both of them though!